The attorney's office decided not to pursue the charge "due to lack of sufficient evidence." TORONTO — A misdemeanour domestic battery charge has been dropped against "Trailer Park Boys" actor Mike Smith a month after his arrest in Los Angeles. 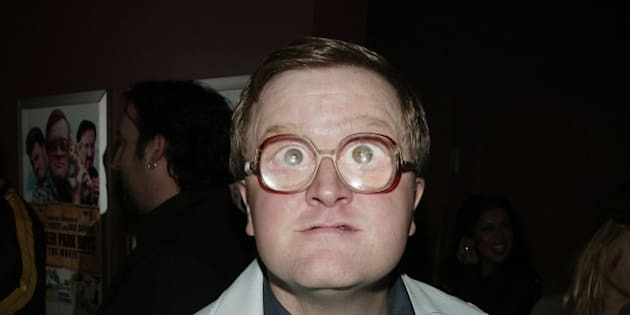 Smith, who plays the character Bubbles on the Canadian cult comedy, was arrested on April 1 after an incident at a Hollywood hotel involving a woman. He was released on bail hours later, after being booked on suspicion of misdemeanour domestic battery, and had been set to appear in a L.A. court last Friday. The Los Angeles City Attorney's office said Monday that Smith's charge had been dropped. Spokesman Frank Mateljan said the office decided not to pursue the charge "due to lack of sufficient evidence." Smith had denied any wrongdoing in a written statement issued shortly after his arrest, saying the woman involved in the incident was a friend of his with whom he had a "loud and heated dispute." "At no time did I assault her. I am not guilty of the misdemeanour charged against me,'' he said at the time. In the same statement, which was issued by the "Trailer Park Boys,'' a woman who was described as the alleged victim in the incident also denied the police allegations. The statement also said other members of the "Trailer Park Boys" and all staff "stand behind" Smith. Not long after news of Smith's arrest surfaced, however, his then "Trailer Park Boys" co-star Lucy DeCoutere announced that she was leaving the television show. DeCoutere took to Twitter at the time to say: "If I find out that somebody is abusive, I cut them out of my life.'' She then tweeted that she was resigning. DeCoutere later insisted she remained friends with the cast and crew of the "Trailer Park Boys" despite saying her departure was linked to Smith's arrest. DeCoutere has become a well-known figure across the country after testifying against former CBC broadcaster Jian Ghomeshi at his sexual assault trial. He was found not guilty in March. "Trailer Park Boys'' is about three petty felons living in a trailer park. The show is produced by Toronto-based Showcase Television and appears on Netflix.